Finding a career that you both enjoy and are passionate about is often a difficult feat. This is also not the priority of many people who are simply trying to find a job that can put food on the table. On the other hand, with the proper training and opportunities, both of these worlds can combine to form a meaningful path in life. At OUR Center, we have found that the culinary arts offer the best of both worlds. This is why we started offering culinary arts training to those who are interested in it. 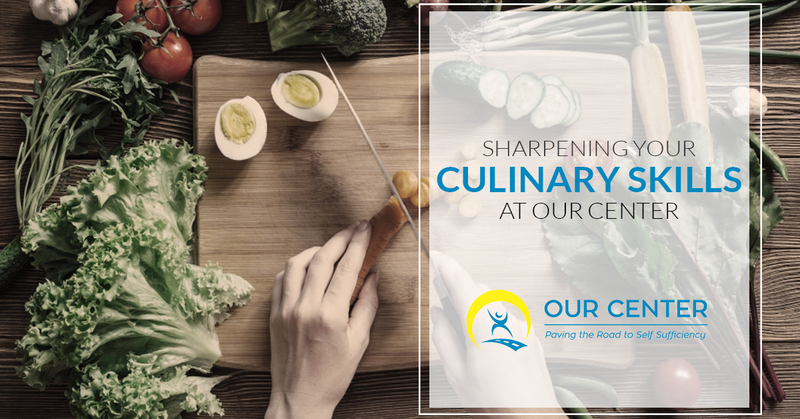 Our Culinary Arts Program is all about offering up fresh beginnings to those who are in need of one. We want to prepare underemployed, unemployed and previously homeless or incarcerated adults with the skills to make a success career in the food service industry. Want to know more about the Culinary Arts Program being offered at OUR Center in Longmont? Continue reading below. What is our Culinary Arts Program? As mentioned above, OUR Center is trying to make career opportunities for those who may not be able to do so on their own. We do this by offering a 12-week long culinary program during which the student will learn all of the skills needed to work in a professional kitchen. At the end of the course, the graduate will receive a professional certification that will allow them to earn higher wages once they begin working in the culinary field. The classes meet every Monday through Thursday from 3:30-7pm at the OUR Center, so that there is still time for you to work your current job. Even if you have never cooked a meal before in your life, there is nothing stopping you from becoming a culinary professional with the right training and help of an organization that is passionate about creating opportunities. In order to apply for our Culinary Arts Program, there is really only one requirement you must meet: you have to be 18 years old. On the other hand, in order to receive your certification you have to complete the entire curriculum and you must work with an OUR Center resource specialist throughout the course and afterwards. Other that these stipulations, there is little else to concern yourself with as there is no experience necessary. Right now we are ending our summer course and will be beginning our fall course very soon. The fall Culinary Program at OUR Center will begin September 18th and last through December 15th. If you are interested, however, make sure that you apply by September 5th. If you are ready to make a positive change in your life and you would like for OUR Center to help, contact us today! We would love to answer any questions you may have and assist you in filling out your application before the deadline arrives. It’s never too late for a fresh start, you simply need to take the first step today.